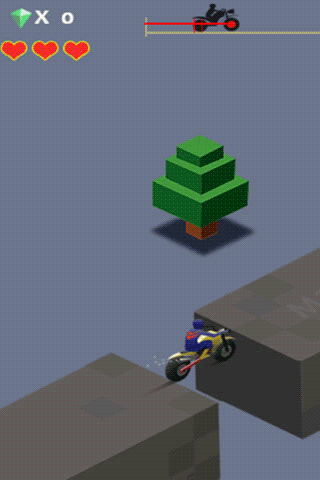 Play and experience ultimate risky Bike stunts on the go! 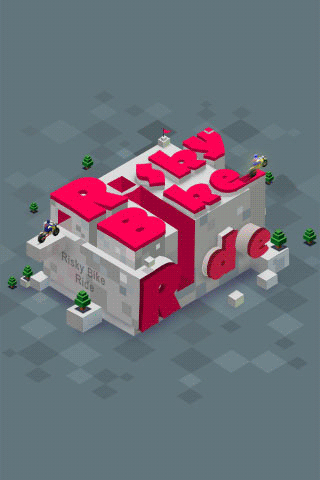 Choose your bike and start stunt mania, tilt your phone to control bike and tap anywhere to jump/stunt. There are 20 unique levels and difficulties will increase as you progress in the levels. Once after finishing all these levels then Endless mode will be unlocked and you can experience never ending game play. This game is designed in Isometric view in order to give a new feel of game play. For each level you will be having three lives and you must complete task with best utilization of those and also you can pick up diamonds on your ways which acts as Save Me option to continue from the point where you left. 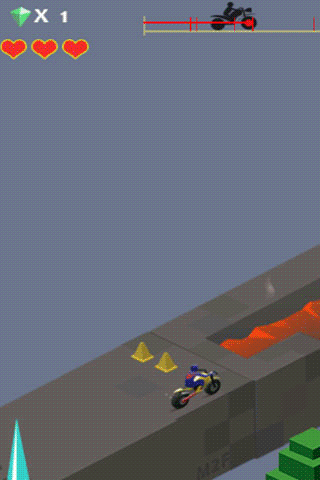 Avoid by sliding or jumping on obstacles like tiny bombs, other vehicles, road pits.